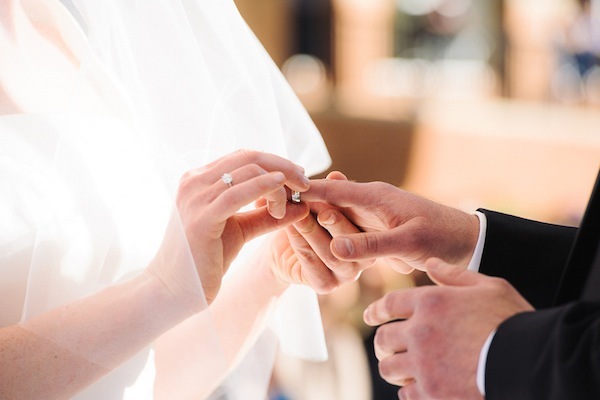 New York - Hoping to eliminate devastating difficulties in the divorce process, the Rabbinical Council of America has passed a resolution requiring all of its member rabbis to require the use of a halachic prenuptial agreements when they officiate at weddings. The resolution was adopted Thursday by the membership of the RCA and was designed to prevent potential problems in cases where one spouse will not give or accept a get. “We have seen over and over again that the existence of a halachic prenup dramatically changes the dynamics of contentious divorce cases and eliminates the risk that the get will be improperly used as a tool for leverage or extortion,” said Rabbi Shlomo Weissman, director of the Beth Din of America. According to RCA president Rabbi Shalom Baum, having a prenuptial agreement in place has been an effective means to ensure that a get is issued and accepted in a timely and unconditional matter. Making a halachic prenuptial agreement as mandatory as a kesuba to the marriage process will also eliminate any possible stigma or discomfort of asking a potential spouse to sign the legal agreement. Rabbi Mordechai Willig, a rosh yeshiva at Yeshiva University’s Rabbi Isaac Elchonon Theological Seminary and deputy av beis din at the Beth Din of America, drafted a halachic prenuptial agreement in 1993 in consultation with both legal and halachic experts in 1993. That prenuptial agreement is widely used but RCA members are free to use any halachic prenuptial agreement that is endorsed by their rabbinical authorities. Making a halachic prenuptial agreement part of the marriage process shifts the focus of the document from the couple to the rabbi and his professional standards, explained Rabbi Baum. The RCA is planning several initiatives that will help rabbis and community members better understand and implement the signing of prenuptial agreements. Pre-nups are potentially problematic. There are those who consider the entire subject taboo for halachic reasons. They are not looking for trouble, just to be consistent with halacha. Others find the RCA approved pre-nup inconsistent with halacha, In this regard, there are efforts underway to craft a pre-nup agreement that will be halachically approved by the mainstream poskim. If this can work, there will be something useful to work with. To compromise on halacha is never acceptable. That is why there are so many poskim from the mainstream community that dismiss the RCA as willing to allow their preferences, however laudable, to overrule halacha. There are still questions about the use of the secular courts to enforce the pre-nup that is in turn obligating the get, whether this constitutes a forced get. The subject is way too complex to be covered adequately in media. There is an emotional side to the subject, and this tends to make people get radical and rash. I expect to see some such comments, and I hope those who wish to adopt such attitudes should realize that their desires do not necessarily create halacha in their favor. How does this solve the problem of a husband who refuses to give a get, whether with a prenup or without?! Who needs a Rabbi for Kiddushin? “ Pre-nups are potentially problematic. There are those who consider the entire subject taboo for halachic reasons. They are not looking for trouble, just to be consistent with halacha. Others find the RCA approved pre-nup inconsistent with halacha, In this regard, there are efforts underway to craft a pre-nup agreement that will be halachically approved by the mainstream poskim. If this can work, there will be something useful to work with. To compromise on halacha is never acceptable. That is why there are so many poskim from the mainstream community that dismiss the RCA as willing to allow their preferences, however laudable, to overrule halacha. You state a lot of things as facts, but you never back it up with references. Who are your mainstream rabbis that don't respect the decisions of the RCA? Such an idea was offered 250 years ago but ultimately rejected. Who decides who is "the mainstream community?" You can say that there are those that agree and those who don't agree with the RCA but to imply that those who do agree are outside of the mainstream is not proper. Nice...mixed up world...woman putting the ring on the mans finger...huh? RCA.. does the woman give the kesuba to the man as well? All due respect to Rabbi Weisman, but I would like to see the enforcement of big Poiskim like Rav Dovid Feinstein, Rav Nota Greenblat and Rav Dovid Cohen on it. Notice that the woman is putting the ring on the mans finger. Hmmmmm. “ You state a lot of things as facts, but you never back it up with references. Choose your poskim around the frum community in NY. Then ask them. The rejection of the RCA pre-nup is close to unanimous. You might include the major yeshivos. Ask the Roshei Yeshivos. Then go to the dayanim of the recognized batei din, Hisachdus, Karlsburg, Beis Yosef, Mechon Lehoroya, and others. Tally your results. Then report your findings here. Everyone I know has dealt with the subject with these multiple dayanim, and there is nary a trace of acceptance. it cant force the husband to give a get, but i believe it does bind him to financial obligations which are enforceable in court. these financial obligations tend to encourage the giving of the get, so the huband can be freed of them. The prenup doesn't allow the secular court to force a get. It only requires a substantial amount of support to the estranged wife. Since the husband would likely not wish to pay the support, he would likely offer a get. You do realize that picture was chosen by VIN. It has nothing to do with RCA. The RCA findings, tgatvthis prenup has been effective in forcing a man to give a get, is skewered by the test population. Someone who is the type to use the Get as a weapon is also not someone who would agree to sign this prenup. The results of the RCA experiment are therefore faulty. VIN are smarter than you realised. One picture is worth a thousand words. Think a little. Included in the prenup should be if a woman plays with visitation rights then she has to pay her husband as well. And playing includes when its dad's turn you can't all of a sudden decide that little fayige has a cold and can't come. If the women does that she pays for it just like dad pays if he is jerk and is a get refuser.